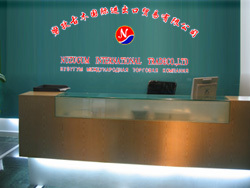 NUZUGUM INTERNATIONAL TRADE CO., LTD., founded in September 2007, is a private enterprises which holds the both import &export rights. is also export high-quality Clothes�pElectronic components�pComputer hardware & Software�pHome electronic appliances�pFood &Beverage�pFurniture’s, Health Beauty�pHome appliances�pLights�pMetals�pToys�pSport Entertainment�pOffice supplies�pAuto parts and Bags Boxes etc. 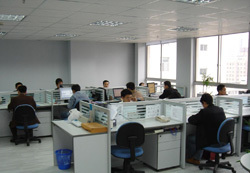 we handle customers' business in china who are from Russian, Central Asia, Pakistan, Afghanistan and other countries. We will provide all kinds of goods which the customers' need. In addition, we also provide to let customers to know the market situation, contact with factory, handle Customs procedures etc services and provide the service of air tickets and hotel for customers. We specialize in exporting products quality. In order to develop new markets, we insist in pursuing customers satisfactory and with customers' trusts. With our credibility and efficient, excellent service. We wish to build friendship and mutual benefits in businesses, and of course, a long term business with your company is what we keep on! 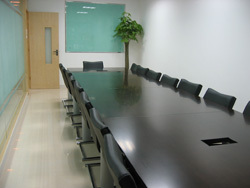 Meanwhile, we are totally dedicated to our clients, and have more precious experience in overseas trade. Being proud of our trade team, we understand the needs of market and are always in a position to provide buyers with the latest products for their different regions. we would like to be your trade partner in china! !